I was chatting with a friend this morning, who turned to me and asked what I thought of his trading an old iPhone 4S at Best Buy for an iPhone 5. The retailer has a long-running trade-in program, and its current promotion allows legacy iPhone owners (with models 4 or 4S) to receive $150 value — the same cost as the store's current price tag on the 16GB iPhone 5 (with a $50 instant rebate). In essence, he'd be swapping his device for a new one at an even cost. First, 16GB isn't that much room: If you're an app fiend, a music/podcast addict or a hoarder of any other storage-slapping content, that 16GB will feel absolutely puny. Second, Apple will announce its new iPhone in a few months: Yes, I know we're supposed to say that the company is "expected" to announce a new iPhone, but without an official announcement, we need to stop short of actually stating that as fact. Blah, blah, blah. Okay, then. Apple is likely to announce the next version of its smartphone, just as it has every single year since the very first one debuted in 2007. And when that happens — excuse me, if — then you'll be stuck with a brand-new last-gen handset. Of course, that's the point. This promotion is intended to rid dead stock, to clear shelves for new models. But is an immediately outdated device something you'll be satisfied with? Third, iOS 7 has gotten the mother of all revamps, and you'll either love it or hate it: If you tie yourself down to a device that you think you know and are comfortable with now, you might be in for a shock in a few months, once you actually have the software in your hands. When that happens, there's equal chance of it thrilling you or upsetting you — that depends on taste — but by the time the new OS launches, your return period will be over and you'll have no choice but to embrace iOS 7. Fourth, iOS 7 has gotten the mother of all revamps (and no, it's not a mistake — I wrote that twice): With any new software (or massively rewritten ones), there are bound to be bugs. Some of them may be small, others may be huge. But again, by the time you actually find out whether you can live with them or not, that return period will have expired and you'll be forced to contend with them, either way. If he was a basic user without a lot of storage needs, didn't care about having the latest handset, knew that he would definitely love iOS 7, and wasn't at all concerned about the changes, then I would've told him to go for it. But when he realized what he might be in for, just to save some money, he decided it wasn't worth it. If the store determines the model, version and condition of your legacy iPhone makes it worth more than the $150 trade-in amount, they'll honor the difference with a gift card. And as long as you're eligible for an upgrade with your carrier — Verizon, Sprint or AT&T — then you're all set. That is, if you can live with the bullet points listed out above. Best Buy trade-ins have to take place in person at participating locations, but to get a sense of what your iPhone (or other devices) could be worth, there's an online trade-in pricing tool at www.bestbuy.com/tradein. The final thought I gave my friend was this: I once timed a handset trade-in based on when I thought it would receive the best value, then simply used a back-up phone for a couple of months until the next version rolled out. Since Best Buy trade-in value, via gift cards, don't have to be used immediately, that's certainly an option here. Was it a pain? Yes, indeed it was. But I still got my shiny new phone and managed to save a load of cash in the process, with absolutely no regrets. Do you have a resale or trade-in strategy for old devices? 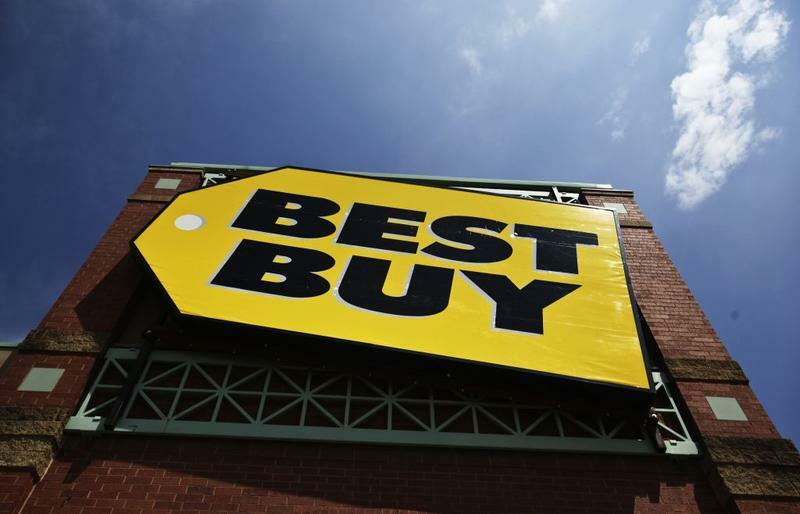 Are you considering taking Best Buy up on its current offer? Let us know in the comments below.